Though copyright law provides a creator with several critical and powerful rights over their work, those rights are not unlimited. The law has always recognized the need to balance the rights of the copyright holder with the good of the public and provisions in the law have aimed to do exactly that. One of the most obvious and important limitations to copyright is that it is not perpetual and expires after a set amount of time. The length of a copyright on work created during or after 1978 is the life of the author plus seventy years. For works of corporate authorship, the term is 95 years from date of publication or 120 years from date of creation, whichever is shorter. When a copyright expires, the work falls into the public domain. In the public domain, the work is considered to be a part of our cultural heritage and is not subject to any copyright limitations. This means that anyone can exploit a work for both commercial and non-commercial gain. Copyright holders do have the ability to place works into the public domain themselves, the Creative Commons organization offers a license to do just that, but once that step is taken, it can not be undone. Though the orphan works legislation is currently just a bill the significant limitations it places upon copyright and the likelihood of it passing make it a worthwhile topic. 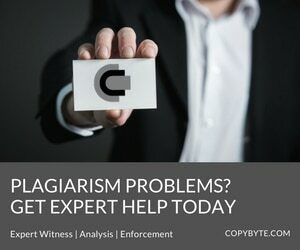 Many times, when someone wishes to use a copyrighted work, the person or entity that holds that right either can not be located or discovered. Even though the work is assumed to be protected by copyright, there is no way for someone wishing to reuse it to obtain permission to do so, thus leaving the work in a form of limbo. The orphan work legislation addresses that by allowing use of copyrighted work where the owner can not be determined so long as A) The user has performed a “reasonable search” and B) The work is attributed as well as possible or listed as an orphan work. Orphan works can be used for both commercial and non-commercial use as well as to create derivative works. Should the copyright holder of a work surface after the work has been used, he or she can stop the usage almost immediately but is only entitled to a reasonable license fee in the event that the use was commercial. While not designed to place any new limitations of an owner’s copyright (normal copyright protection resumes when the copyright holder reemerges) it does mean that you can lose several key elements of copyright protection if you can not be determined to be the copyright holder of the work or can not be located. Fair use is probably the best-known limitation to an owner’s copyright and also the least clear. There is no set rule that defines what is and is not fair use. Rather, fair use is defined by a framework that is applied on a case-by-case basis. Whether or not a use is “fair” can only be effectively determined by a court. Despite that, when one takes a look at elements that make up a fair use case, either for or against, it’s usually easy to tell where such a use would fall. The nature and character of the use. Fair use strongly favors education, commentary, criticism and news-related uses of a work and disfavor purely commercial uses. The nature of the copyrighted work. Copyrighted works that are fictional and unpublished, generally, get a higher level of protection than works that are factual in nature and widely available. The amount and substantiality of the portion used. With fair use, less is more. Generally, the law favors uses that involve a portion of a work that is very small in relation to the whole. Exceptions are often made for works that can not easily be broken down, for example photographs and Haiku. The effect of the use upon the potential market for or value of the copyrighted work. Finally, fair use looks at the impact the use had on the market or value for the work and favors instances where the use had either a positive impact or a minimal negative one. In general, when trying to build a fair use case, it’s a good idea to take only what you absolutely need, make sure that your use is for some kind of public good and that the use damages the copyright holder as little as possible. It is also worth noting that, generally speaking, attribution is viewed as a requirement in building a fair use case. Though it is generally viewed as just one element in a fair use argument (under the character of the use), it is weighed so heavily that almost any non-attributed use becomes a copyright violation. Parody is a subset of the fair use limitation that protects works that protects the use of a copyrighted work in order to poke fun at it. Generally, fair use favors parody, using a work to make fun of the work itself, over satire, using the work to make fun of something else. However, both parody and satire cases have been found to be fair use. It’s important to note though that all claims of fair use under parody law are still subject to the ordinary fair use test. It’s generally a good idea to follow all ordinary fair use precautions when using a work for parody. Finally, there are many things which simply can not be copyrighted. Though a full list would be far too long to publish, it includes things such as titles, facts, ideas, phrases and other items which are too small or short to have any unique value. It’s important to remember that copyright does not protect an idea, just the expression of an idea. It can only protect that which is fixed into a tangible form. Copyright law can prevent someone from creating a story based upon Star Wars characters (a derivative work) but can not prevent anyone from creating a science fiction story about an evil empire with a chosen hero to vanquish it. Copyright also does not protect works that are too small or short to be unique. Titles, phrases and sentences generally can not be copyrighted by themselves but, instead, only as part of a larger work. Even then, you can not infringe upon a copyright by copying such a short portion as it could easily have been a unique creation. Note: Infringing upon ideas and upon short phrases may be a violation of patent and trademark laws respectably. However, those laws rarely enter into creative works.